By Xah Lee. Date: 2018-06-07 . Last updated: 2018-09-07 . Today's emoji is one ugly futter. You can't tell a man from woman, or boy girl baby. They are all drawn in a style where everyone is a creepy wimp. 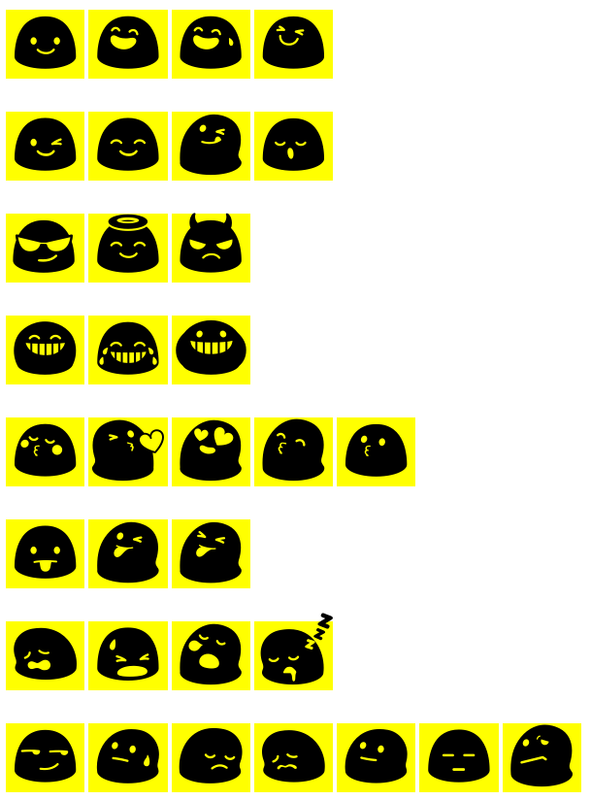 Emoji originate from japan's phone around 2005. It was evolved from emoticon. The goal of emoji in unicode was to standadize them and use font instead of inefficient images. But now, neither goal is reached. Google, Apple, each draw them to promote their products and politics. for about 5+ years, Google anthropomorphize its android logo as emoji. Ugly and creepy. It used to have antenna. and this is Apple's emoji. It just show its own products in expense of clear communication. 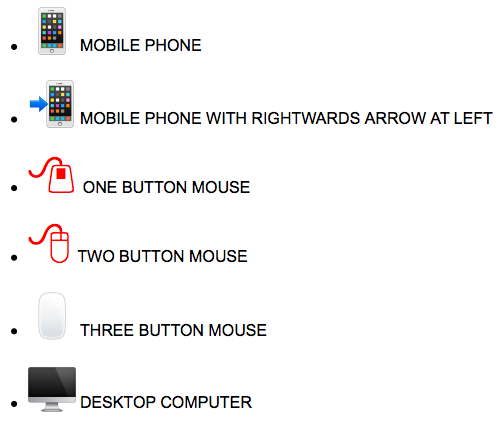 Note its “THREE BUTTON MOUSE” and “DESKTOP COMPUTER”.